Evolving fire safety regulations for building materials and the growing material need to comply with sanitation standards drive designers and maintenance managers in hospitals as well as public facilities to look for new ways to enhance public safety. Annually in the EU, MRSA∞ infections have been estimated to result in 1 million extra days of hospitalization and an attributable additional hospital cost of €380 million*. SABIC is helping customers to meet these challenges by introducing a new LEXAN™ CLINIWALL™ sheet solution for clean room surfaces and interior wall cladding applications in public facilities and hospitals. This opaque, low-gloss PC/ABS blend solid sheet portfolio delivers high strength and stain resistance to blood, iodine, rubber gasket marks and other common stains in hospitals and public facilities. It also offers excellent chemical resistance to most of the cleaning agents including disinfectant Isopropanol (rubbing alcohol), helping save significant maintenance costs. “Increasingly, in public and healthcare environments, raising hygienic standards to prevent infections has been a major challenge for our customers. As a result, SABIC continues to develop robust engineering thermoplastic solutions using antimicrobial materials,” Michel van Acht, Director of Specialty Film & Sheet for EMEA, Innovative Plastics, said. “We also look for opportunities to help our customers achieve their design, cost reduction and efficiency objectives. 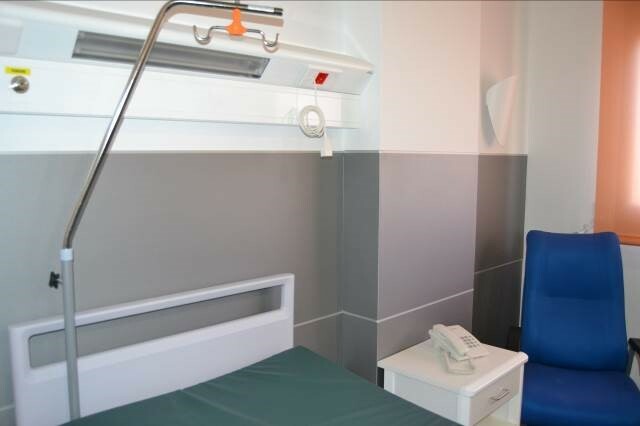 The LEXAN CLINIWALL sheet portfolio was developed to answer our customers’ challenges and needs for regulatory compliant materials for healthcare, industrial and public facilities such as hospitals, laboratories, care centres, schools, restrooms and airports,” van Acht noted. SABIC’s LEXAN CLINIWALL sheet portfolio offers non-chlorinated and non-brominated flame retardant technology and complies with the most stringent European fire safety and smoke standard EN 13501-1 for wall linings, obtaining the best possible rating B-s1,d0 for a thermoplastic material. The portfolio comprises three different grades: antimicrobial LEXAN CLINIWALL AB6206 sheet, polished/suede surface finish LEXAN CLINIWALL B6206 sheet and polished/silk matte surface finish LEXAN CLINIWALL B6205 sheet. These options allow customers to select the appropriate formulation depending on their interior application requirements. Compared to high-pressure laminates, ceramics and steel, LEXAN CLINIWALL sheet products can significantly lower system costs through consolidation of parts to streamline production, and avoidance of secondary operations such as painting and coating, machining and polishing, and lower shipping costs due to its lightweight. According to ISO 22196 / JIS Z 2801:2000 test done by an independent lab, LEXAN CLINIWALL AB6206 sheet grade demonstrates greater than a 99.99 percent reduction in MRSA and E.Coli on the surface of the material over a 24-hour period at 35°C. Because of this antimicrobial property, this material can be an excellent choice for interior wall cladding of hygiene-sensitive clinical operations and it may help prevent the spread of potentially harmful bacteria and microbes. Colored to the core LEXAN CLINIWALL sheet solutions can provide an excellent finish for wall cladding, eliminating the need for painting. Its characteristics also help prevent chipping of the surface if impact occurs. Potential applications include interior wall cladding of healthcare facilities such as hospitals, clinics, homes for the elderly, sterile rooms and laboratories. Other potential applications outside of healthcare include industrial facilities such as clean rooms, industrial kitchens, refrigeration rooms, storage areas public facilities such as schools, kindergartens, restrooms, airports, bus stops, train stations, sport centres, or any other surrounds where there is a desire to reduce the potential transference of pathogens. SABIC’s new LEXAN CLINIWALL sheet products are offered in various colors and produced in Europe. challenge: time to react. Stockholm: ECDC & EMEA, 2009. • SABIC and brands marked with ™ are trademarks of SABIC or its subsidiaries or affiliates. SABIC’s businesses are grouped into Chemicals, Polymers, Agri-Nutrients, Metals and Innovative Plastics. It has significant research resources with innovation hubs in five key geographies – USA, Europe, Middle East, South East Asia and North East Asia. The company operates in more than 50 countries across the world with around 40,000 employees worldwide. Headquartered in Riyadh, SABIC was founded in 1976 when the Saudi Arabian Government decided to use the hydrocarbon gases associated with its oil production as the principal feedstock for production of chemicals, polymers and fertilizers. The Saudi Arabian Government owns 70 percent of SABIC shares with the remaining 30 percent publicly traded on the Saudi stock exchange. 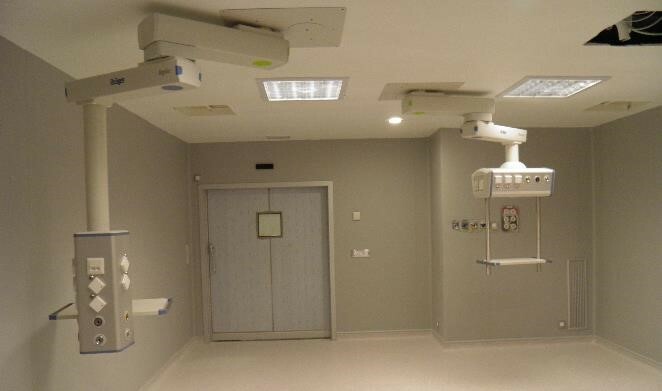 The Operation room of hospital in Madrid, Spain using LEXAN™ CLINIWALL™ sheets on its wall cladding.